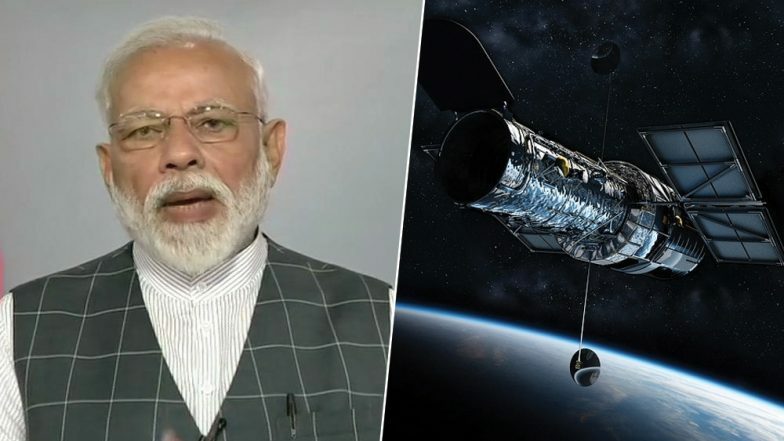 New Delhi, March 27: Prime Minister Narendra Modi on Wednesday addressed the people of the country and announced that India has added its name in the list of Elite Space Powers. The Prime Minister announced that India is now the fourth nation to have achieved this after the United States, Russia and China. "Our scientists have shot down a Low Earth Orbit live satellite via anti-satellite (A-SAT) missile in a test mission," PM Modi said. The mission was completed within three minutes of launch, said PM Modi. "The Mission Shakti operation required special skills by our scientists. It is a proud moment for all Indians. I congratulate all DRDO officials," PM Narendra Modi said. "A-SAT missile will give new strength to India's space programme. I assure the international community that our capability won't be used against anyone, but is purely India's defence initiative for its security. We're against arms raised in space. This test won't breach any international law or treaties," he added. The big message by PM Modi was given to the nation days ahead of General Elections. Lok Sabha Elections 2019 will take place across India over the next two months of April and May. Voting for the General Elections will take place in seven phases between April 11 and May 19. The counting of votes for all 543 seats of the Lok Sabha will take place on May 23.